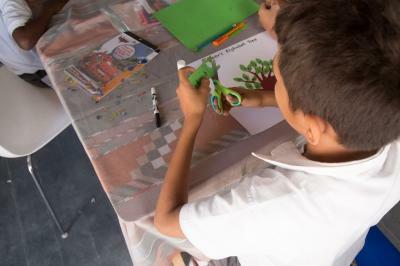 The volunteer Teaching Project in Belize is growing, with the expansion of our literacy programme. 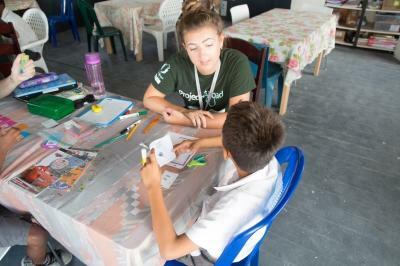 Since September 2016, Projects Abroad volunteers have worked closely with the children from Holy Cross Anglican School and based on the successful programme, literacy classes will expand into a second placement - New Horizons Primary School - just in time for the new school year, beginning September 2017. Free remedial English lessons are given to students between the ages of four and 15 years old who struggle to read and write. A wide range of literacy skills are taught in the literacy programme, from the basics of ABC’s to reading comprehension. In just one year, four students have already graduated from the programme, 12 students have graduated from one level to another (there are four levels in total), 85% have improved significantly (mastered two or more sections in their respective level), and 98% of students have improved (mastered at least one section in their level). A total of 60 students have benefitted from remedial lessons since its launch. Through one-on-one sessions, volunteers observe, assist and record each child’s progress. The focused attention allows children to develop at their own pace in a fun and educational environment. “One child in particular shaped my whole experience; he was 10 years old, had never been to school before, came from a Spanish-speaking home and did not know his alphabet,” says Maddy. “It was a slow start as he was timid at first, and it took a couple of weeks for him to build up enough trust in me to open up and really embrace our lessons. We went through each letter of the alphabet individually, and set him more frequent goals, to give him motivation and a sense of accomplishment each time he met a target. 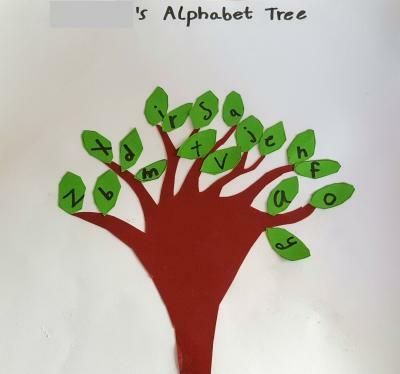 We also made his own ‘Alphabet Tree’ - each time he mastered a letter he could add it to the tree!” Two months later, Maddy’s young student completed Level One of the programme, after mastering the English alphabet. With the help of Projects Abroad volunteers and local volunteers, she has been able to develop materials and workshops aimed at increasing the literacy levels of the students involved in the programme. “The program tutors students in reading and comprehension skills and it’s designed to deliver supplemental education with the use of interchangeable volunteers, while the students continue their learning progression without interruption,” explains Susan. In general, children in the remedial classes have responded well to the programme and the volunteer involvement. “The student is very responsive to the volunteer, due to the positive learning environment created within the program,” says Susan. “The child bonds with the program, and not individual volunteers. The students [also] respond well to the content, as it is student-based learning. It is set up in a way that the student learns how to learn,” she says. “Without volunteers, there would be no literacy programme. With only one volunteer, we can significantly increase the chances for a student to excel later on in life and not remain marginalized,” says Kristin.